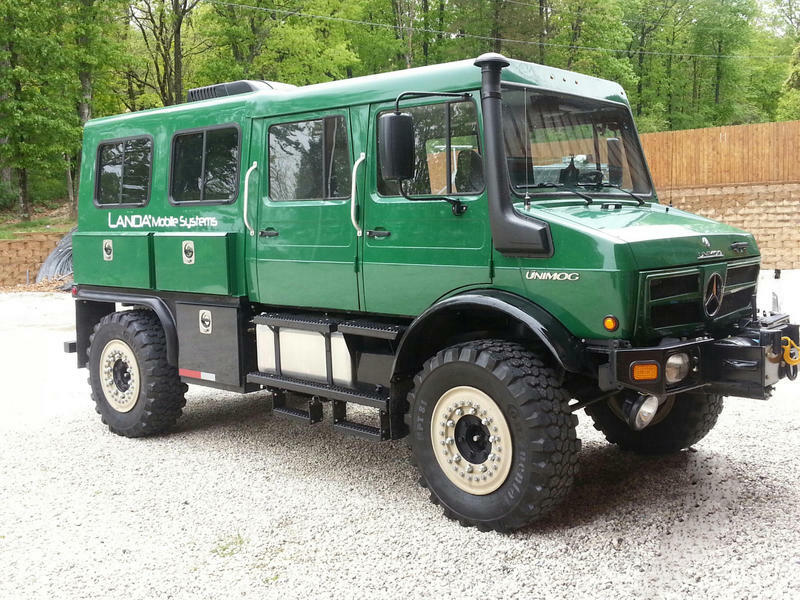 Expedition Portal does a nice job of covering ARB’s latest Jeep Wrangler build with a good write-up and a gorgeous set of photos by Bruce Dorn. Australian custom motorcycle shop, Deus Ex Machina teamed up with Florida’s Makr Carry Goods, a leather and canvas goods maker, to produce a limited run of Deus x Makr Tool Rolls. They’re constructed from waxed, duck canvas and high-end leather. 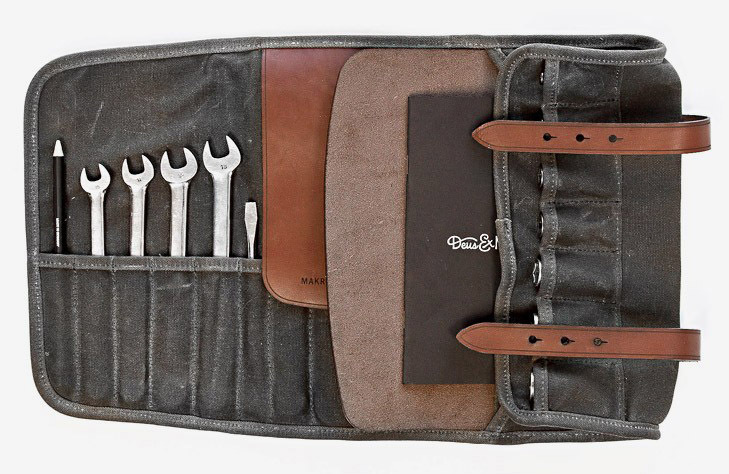 If you’re looking for a good tool roll, this will be one of the nicest you find. I came across this great dirt bike the other day. Within its skinny, custom frame, beats the heart of a 1974 Triumph Bonneville. The rest of the bike is a mutt: Yamaha front end, Husqvarna shocks. But just as mutts can be the best dogs ever… well, just look at it. It’s totally amazing. Shaw Speed & Custom, U.K. 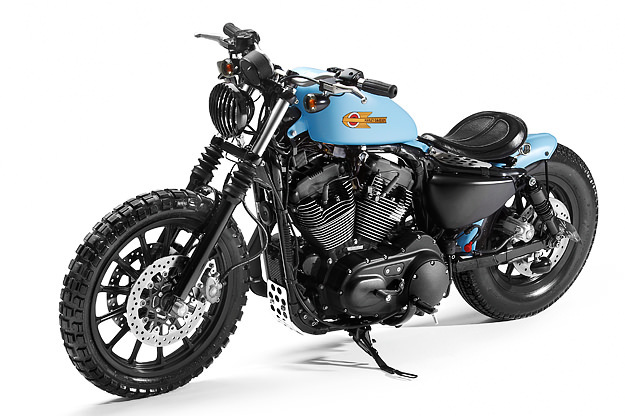 I just came across this 2006 Harley-Davidson XL1200R custom by a U.K. shop called Shaw Speed & Custom. 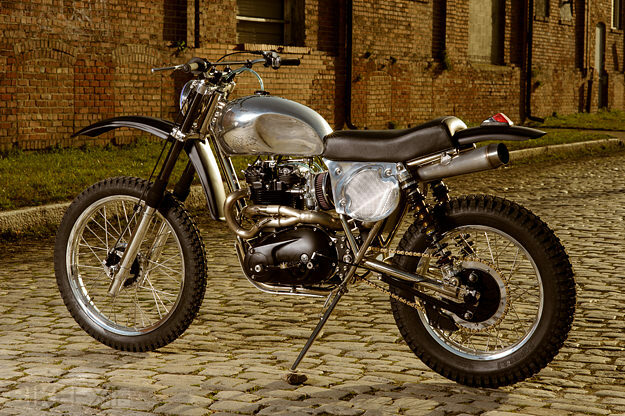 This great looking, mildly scrambler-style bike can be had for about $13,500. Read about it on Bikeexif.com.